Mayor Michael Soriano joined Mill Creek Residential at their Grand Opening for Modera Parsippany, a new luxury rental community off of Rt. 46. Russell Tepper, Senior Managing Director, Northeast Operations for Mill Creek Residential and Rich Murphy, Managing Director, Northeast Operations for Mill Creek Residential hosted the ceremony. Also in attendance were Council Members Loretta Gragnani and Michael dePerrio. A large crowd was on hand to join in the celebration. Mill Creek is building on its continued momentum in New Jersey after the success of Modera 44 and Modera 55 in Morristown, and Modera Lofts in Jersey City, with the launch of Modera Parsippany – located at the nexus of one of the region’s most important centers of employment and transportation. Located off of Route 46, the 212-residence community is uniquely situated close to numerous Fortune 500 headquarters and a vibrant assortment of shops, restaurants and entertainment destinations. Modera Parsippany is ideally located within walking distance to NJ Transit bus service, and is less than an hour ride from New York’s Port Authority Bus Terminal. The community is minutes from Interstates 80 and 287, which provides easy access to the surrounding communities that many Fortune 500 employees call home. Each residence will feature curated elegant interiors with contemporary wood plank-style flooring and stunning quartz countertops paired with expansive chef-inspired kitchen islands. Additional features will include state-of-the-art stainless-steel appliances, generous walk-in closets, and lavish tiled soaking tubs. 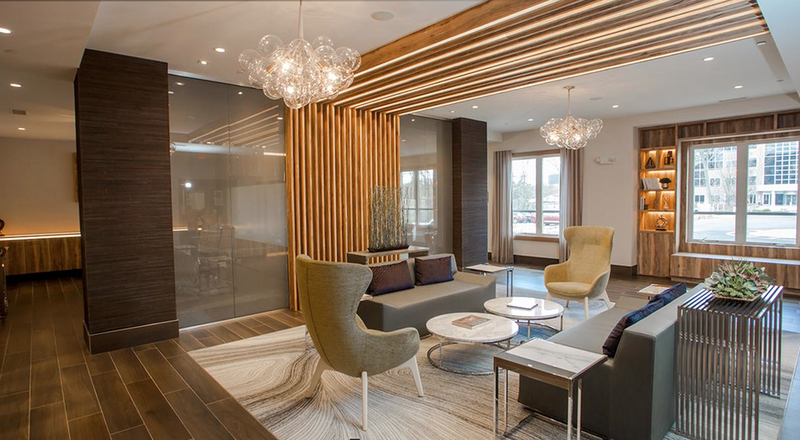 Modera Parsippany features thoughtfully designed lifestyle amenities including a spacious two-floor fitness center with yoga studio, a hotel-inspired salt water swimming pool with sun deck, a designer clubroom with bar and lounge, and keyless entry systems throughout the building. Other premium amenities include a car care station, a package concierge, dry-clean valet, a pet-grooming station and dedicated parking for each community member.